LPR status can be abandoned for tax purposes (since 2008 tax law changes) by merely leaving and moving outside the U.S. in some cases? Lawful permanent residents may erroneously think they have not “expatriated” for U.S. tax purposes, as long as they have not returned it to the U.S. 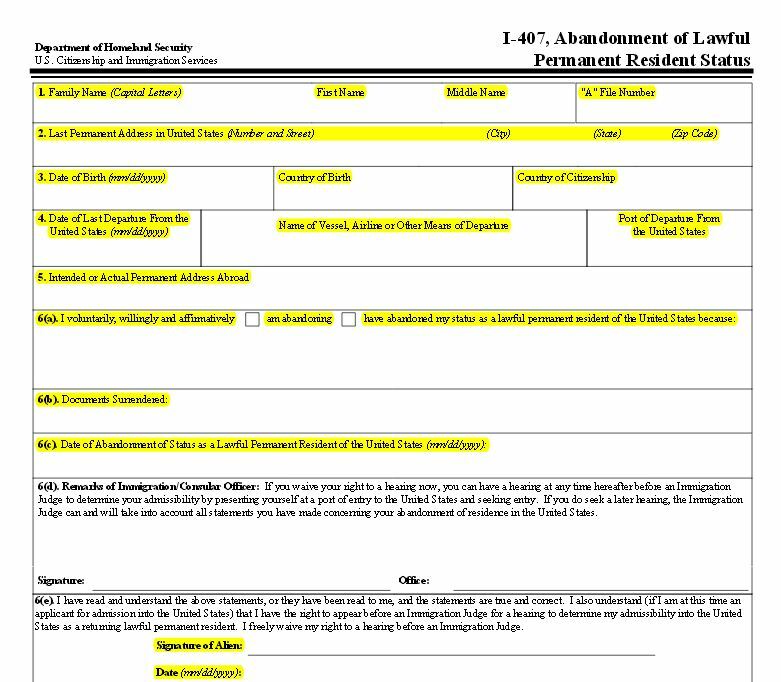 Citizenship and Immigration Services (USCIS) – i.e., formally abandoned their green cards. Unfortunately, for these individuals, they can be in for a rude awakening regarding the application of IRC Section 7701(b)(6) that was added by Congress in 2008. Notifies the Secretary of the commencement of such treatment. Each of the above tests seem to be satisified by any “green card” holder who files IRS Form 1040NR as a non-resident, when they live in a country with a U.S. income tax treaty. A list of treaty countries is to follow in a later post. There can be a host of unintended consequences to the individual who falls into this category; i.e., who ceases to be a “lawful permanent resident” under the federal tax law. The expatriation provisions of Section 877A and 2801 (among others) can be implicated, along with many other provisions of the law. See, Accidental Americans” – Rush to Renounce U.S. Citizenship to Avoid the Ugly U.S. Tax Web” International Tax Journal, CCH Wolters Kluwer, Nov./Dec. 2012, Vol. 38 Issue 6, p45.